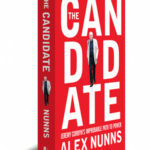 Alex Nunns, the author of The Candidate: Jeremy Corbyn’s Improbable Path to Power, was one of those who saw the project develop from its earliest stages. Here he talks to James Elliott, editor of Left Futures, about the extraordinary general election campaign, the future of Corbyn’s Labour Party, and the path to left government in Britain. This interview originally appeared in Jacobin Magazine. The media is a major theme of the book. You point out how columnists who’d previously been seen as on the left of the commentariat at publications like the Guardian or New Statesmanentirely dismissed the political events that were happening. Why do you think they failed to explain the movement then, or indeed two years later during the election? A good article, laying out the problems that Corbyn had to deal with inside the Labour Party bureaucracy. The message at the end is clear – for a Leftwing government to get into power and achieve the policies of the manifesto, the people who vote them in will have to carry on actively supporting the people who have led them so far. This has to be a top priority. The party must move away from the Blairite model wherein a diminished memership served only as cheerleaders for the leader. We may be fans of Corbyn but we must demand democratic rights within the LP. 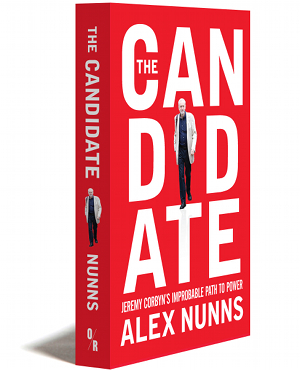 There should be no repeat of the this year’s process where anti-Corbyn candidates, chosen during Miliband’s tenure, were foisted upon CLPs against the wishes of many CLPs. Enough is enough. If we don’t get democratic reform, allowing the Party to properly reflect the country outside the Westminster bubble, the LP will drift into the political oblivion that enveloped Scottish Labour under the leadership of Jim Murphy.